While the selection on my library apps (Hoopla and CloudLibrary and Libby, for the record) are great, those interfaces are not the best. They don’t save my bookmarks, for one, and I seem to always be losing my place in the story. Audible, we all know, is the leader in audio storytelling for a reason, but the cost was often too high for how frequently I churn over books and the fact that I rarely re-read/re-listen. This thing is a gift. For a nominal fee (lower than my Netflix membership! ), I get unlimited books and I can take ten out at a time. I am now among the set that has favorite narrators (hello, Andi Arndt, Shane East, and Sebastian York!) and I have discovered some fabulous stories. Readers, if you are on the plan, can I recommend the Player series from Nana Malone? It’s six books of siblings, the Coulters, who are all athletes and who all fall in love in the appropriate age order. Don’t you love it when they do that? I listen at 1.5 speed and I have torn through these. My favorite is Dax, with Echo coming in a close second. I am sure that this, like Kindle Unlimited, will go through ebbs and flows of books I love and books I …. less than love. I’m in the honeymoon phase with the service, so it still seems like I have so many more books I can have keep me company in those Hiltons that I will be spending my year in. Are you an audiobook person? Have you gotten this service? What are your thoughts? I think everyone around here knows I’m a HUGE audiobook fan – I listen to at least 2 or 3 a week! I’ve used the Romance Package on and off (although it’s only available at Audible.com, it IS possible to access it from outside the US) over the past few months; I join and glom loads of the stuff I want to listen to, then cancel when I’ve listened to everything I wanted and join again when there’s enough new stuff I want to listen to! I always think Audible’s subscription fees are reasonable anyway – the one credit per month subscription is a bit cheaper in the UK than in the US, but I don’t know how it works out in the other countries Audible is available. We stopped our regular Speaking of Audiobooks feature here at AAR a few years back when the staffer who ran it left, but I’ve been thinking of resurrecting it lately. Readers (and staffers!) 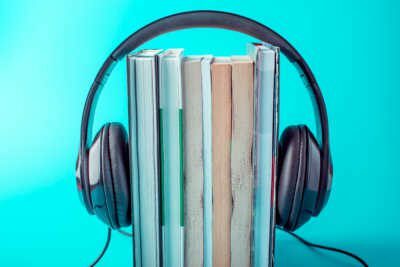 – would you be interested in a monthly or bi-monthly audiobook round-up? I did try a few audiobooks when I was still working, listening on my daily commute by train and/or car. I found, however, that I could not properly concentrate on them on the train due to general noise levels around me, people moving about, the stop/start one hour journey on a commuter train. And, in the car, well, I just thought it was dangerous driving an hour each way on a very busy motorway. Almost as bad as using a mobile phone, IMO. So, I gave it up and listened to either my iPod or the car radio usually classical music that was soothing and familiar. However, audiobooks are a great plus if you are stuck in a hospital bed! My husband has had several joint replacement ops over the past 5 years or so and they kept him entertained and, quite honestly, sane! Much easier than fiddling with his iPad and he liked that he could just close his eyes and listen. Totally fair on the distraction – my best friend gets affected by too many stimuli and can’t consume any audio content while driving except for music. For me, I rarely need to listen to every word to really understand what is happening – I’m usually here for plot versus prose – and so I can tune in and out as the road or environment demands. But if that’s not how you choose to consume your fiction it’s a barrier! I love audio books & I definitely think we should resurrect this column. It never occurred to me to join, binge, quit and then rejoin. I was a member for a bit & forgot about it…and now that I’m commuting in my car for longer in the morning and evenings, this might be an excellent deal for me. Just did a quick check-in on Kinsale & Loretta Chase & I will be a busy (busier) listener in the next few months. One of the best things about Audible is how “no hassle” their services are! You can join up or leave easily and return audiobooks you don’t like (within reason, I suspect) – I don’t know of anything else in the UK that works so well (in my part of the country the audio library is pretty meh and I don’t think there are any other subscription services here) – so for me, it’s perfect. If you do join up, there are some great m/m titles in the Package- I enjoyed Z.A. Maxwell’s The Long Way Home, ePistols at Dawn, and Drawn Together, and Josh Lanyon’s All’s Fair series is there as well. I can probably think of more if you want recs. PS: GREAT IDEA FOR THIS BLOG. I’ve started searching entirely by narrator – so I’m getting some hits and misses for my trope tastes. I listened to one on the plane yesterday that I hit a point where I only wanted to know the ending, so I rented the book from the library, read the last chapter and went on my way. Ha! I didn’t always love audios, but I became a convert about 4 years ago. I started with audios of books by Georgette Heyer that I had already read. That really helped me learn how to listen while multitasking, and I didn’t have to worry about what I missed because the books were re-reads. Through trial and error I’ve discovered what narrators work for me and what narrators to avoid. Now, I mostly listen to books I haven’t read before, and I don’t have any problem following the story as long as the narrator is good. I usually listen when I’m commuting to/from work and while doing housework on weekends. It averages between 12 and 15 hours a week, which is roughly one audiobook a week. Unfortunately, I have to be accessible at work, so I can’t listen to audios when I’m at work. You can find romances that are under 10 hours, but I also listen to audios for other genres where the books tend to be longer. This really helps me diversify my reading. I use RB Digital and Overdrive for my library books, Audible for a select few ebooks where I’ve bought the audio to go with when it has been on sale (Amazon has changed their pricing strategy on this, though, so I don’t find many of these bargains any more), and Scribd for new books or those I can’t find at my library. Because I use Scribd, I haven’t caved for a monthly Audible subscription. I can always find something I want to listen to each month from my various sources. I have had my Audible subscription since 1999 – so yeah, I’m a fan! I love the way the service has changed over time and improved for the customer. I have the romance package and definitely get my moneys worth each month. Some hidden gems to try – Ashes & Embers series by Carian Cole, start with book 1 -Storm. Any book by LJ Shen is a winner, same with Vi Keeland. and J. Bengsstom. Nothing makes me happier than to see that purple R on the cover! Peggy do you have favorite narrators too? I’m curious about your recommendations. I recently listened to a good story and a terrible narrator and I’m wary now. 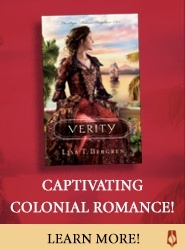 When I get through my new Romance Package backlog of new titles – I’ll hit you up again! Audio books definitely can bump up my overall reading quota, and I like the examples of listening to books while in the hospital recovering or possibly while commuting if the commute is safe and quiet enough. Overall though, I’m a visual reader at heart. If the writing itself is good, I want to absorb the quality of the prose at my own pace and see it with my own eyes. If I want to race through the plot of a book where the quality of the writing is not particularly good, an audio book might suffice. I’ve gone through audio periods but always return to reading physical books. Like Blackjack I am a visual/word reader. I often like the cadence of books and lovely descriptions. My hearing is poor (hearing aids). So audible will never be for me although I cancertainly understand the popularity. Frankie, I too have hearing loss and wear hearing aids. Technology really has come a long way in the last ten years. I’m able to listen in my car because I have Bluetooth and a good speaker system (I don’t yet have Bluetooth hearing aids). I can’t listen in my daughter’s car because the speakers are bad, and I personally think wearing earbuds while driving can be dangerous (can’t hear sirens, e.g.). I usually stop the audio in the car if weather is bad and wipers are running (too much background noise, and driving in weather requires more attention). When at home I use earbuds without my hearing aids in. It took some experimentation over the years to find headphones and earbuds that work well for me, so I understand the challenges! The range a voice falls in definitely makes a difference in my ability to follow what is being said, as well as recording quality of the audio. Fortunately, there are some great, professional audio readers out there. On the other hand, reading from a book is faster, which is an advantage over audios, especially if you have limited time. I also read every word when I read from print or eBook and enjoy hearing the narrative in my head. I don’t speed read or read in visual chunks the way some people do. I guess that’s another reason I was happy to discover some great audio readers through audio books. I could never give up reading books, though. I think both formats have their advantages, and I often think of them as totally separate experiences. As Caz has said, a great reader can elevate a poor or average book, and a bad reader can ruin a good one. I have been an audiobook listener since the 90’s when it was Recorded Books on tape at the library. 99% of my listening has been while driving, mainly classics and light series fiction (“The Cat Who…”, “Mrs. Pollifax” series), Once my reading transitioned to romance around 2010 and I got a smart phone, I got an Audible membership and have never looked back. I loved the Speaking of Audiobooks column and would welcome its return. I spend a lot of time on the road for my job, and audiobooks have been a godsend. Audible had a reduced-price deal around Christmas, for the Romance Package, so I decided to give it a try. I’ve enjoyed it so far and there are a number of books I want to listen to, so I don’t see myself getting bored any time soon! I’m currently re-reading Laura Kinsale’s catalog via audio books and they’ve all been terrific all over again. I would also recommend listening to the Lady Sherlock series & Sebastian St. Cyr mysteries. The narrators absolutely enhance these fabulous books & all of them are terrific. The Enlightenment series by Joanna Chambers & The Gentleman’s Guide to Vice and Virtue are also favorites. I would definitely welcome a regular audiobooks roundup feature here at AAR. I am an avid reader and never really got into audiobooks. Last fall I had a concussion and was not able to read or use technology for awhile. A friend suggested audiobooks. I have been hooked ever since. I am learning about narrators and developing a list of favorites. Audible recently ran a promotion which I took advantage of and am enjoying. The Audible Romance Package sounds intriguing and I will definitely check it out. I’ve been a book listening fan for about 15 years: it provided the motivation I needed to get out and walk every day that got me started. Discovered that housework, yard work, sewing, commuting (basically anything that doesn’t require a lot of focused concentration) goes better/feels even more productive when I can read at the same time. And I think I increased the number of books read each year by 25-30% with audio books. I’ve read audio books from the library since day 1, and am an Audible subscriber. I’ve tried the romance package and have been frustrated because I can’t find what I want to read. It seemed like it was good for reading what I could find by browsing (whatever they wanted to show me) but not necessarily searching (finding something specific). Have they changed the interface? Also, I’ve run across another service – Libro.fm – that licenses audiobooks but supports independent bookstores. When I’ve used up my Audible credits I’m seriously considering switching over. Has anyone here used Libro.fm? And yes I’d love more coverage of audio books. For example, I was kind of disappointed in the audio version of Beard Science which I just finished. The female narrator – Joy Nash – was terrific as Jennifer but the male narrator who read Cletus’ chapters seemed a bit off. I had an audible membership for a couple of years but got tired of paying for the regular credits (with the exchange rate it was costing me over $Cdn 20 a month). Now I have their inactive light membership which is about $15 a year and I mostly buy the whisper sync titles (so if a book goes on sale that I might want on audio, I’ll buy it to get the cheaper audiobook). I have bought several titles directly at Tantor which come as mp3 files, but they are no longer selling audiobooks directly on their site. They had good deals twice a year, with romance audiobooks at $7.50. Besides buying my own I will sometimes get audiobooks from my library (they don’t subscribe to Hoopla though). But I’m a slow audiobook listener so it often takes me longer than the library loan time to listen to a full book, depending on the length. I have a short commute to work so can only listen for 10-15 min at a time then, and if I go running I’ll listen for 30 -60 minutes. I actually started listening to audiobooks after a long distance runner friend told me that’s what she listened to on long runs and at the time I was training for half marathon races. If you’re running for 2+ hours, a book is a great option to keep you going! Before I started reading and reviewing romances, I spent a year listening to the audiobooks of The Wheel of Time series by Robert Jordan. 40+ hours per book. I listened at every work break, lunch hour and workout. That was literally all the reading I did for an entire year. Caz, I would love to get your list of narrators to avoid. How would I go about that? Thanks. I’ve been an audiobook addict for several years, and the Romance Package just added to that addiction. For me, it’s a no-brainer: ten books at a time for $3.99 per month. Since I stick to historical romance (and non-fiction) audiobooks, there is a more limited selection than if I genre-hopped, but because of that I have tried some authors who I would not otherwise have listened to. Yes, I’ve gotten some stinkers, but overall I have gotten my money’s worth. As for narrators, I will listen to anything from Kate Reading (Lady Sherlock! ), Alex Wyndham (Roxton Family Saga! ), and Nicholas Boulton (all of Laura Kinsale’s titles!). I have recently discovered the joy of listening to Davina Porter, as I have been glomming the Sebastian St. Cyr mystery/romance series.